Hotel Park was designed and built in 1964 by my father-in-law and his family. My wife Rossella and I took over, and we are working hard on restructuring and modernising the hotel in order to offer you the holiday you desire. In the last year we have been able to change the look of the reception and its new lounge bar, the panoramic breakfast room with large windows overlooking the sea, and our beautiful gym for the sporty among us. We are currently planning to build a lift from the ground floor to the first floor. In the winter of 2014 all the rooms were soundproofed. Hotel Park features a charming garden with Eastern fragrances and its own cocktail bar, a magnificent outdoor swimming pool right on the beach (located in front of the hotel), and the beautiful private beach. All the sea-view rooms enjoy magnificent views due to the hotel’s privileged and unique location. We also offer a convenient car park for our guests. 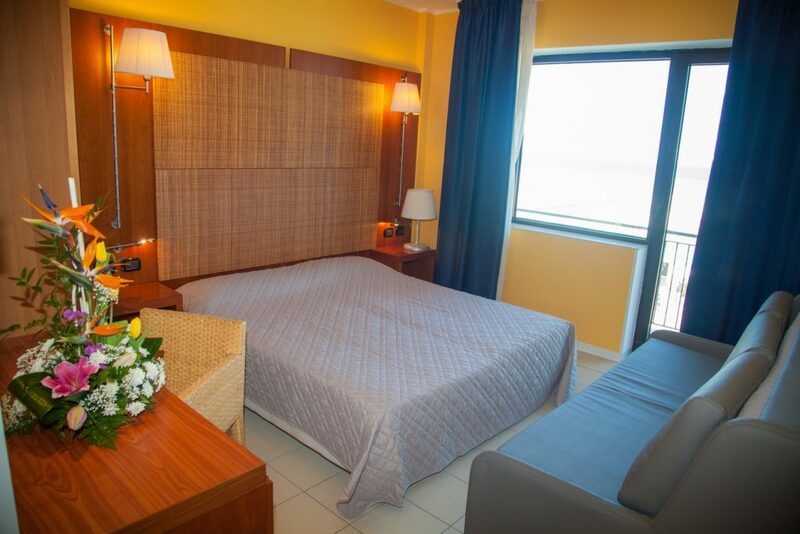 The recently refurbished rooms are air conditioned and all have Wi-Fi access; the newly installed webcam which looks out towards the sea allows you to stay updated whenever you want.